Public Meeting has been posted by EID for April 22, 2019, after which the vote on the project will occur. The time is 9:30 at the EID building 2890 Mosquito Rd., Placerville. The regular board meeting will begin at 9:00. 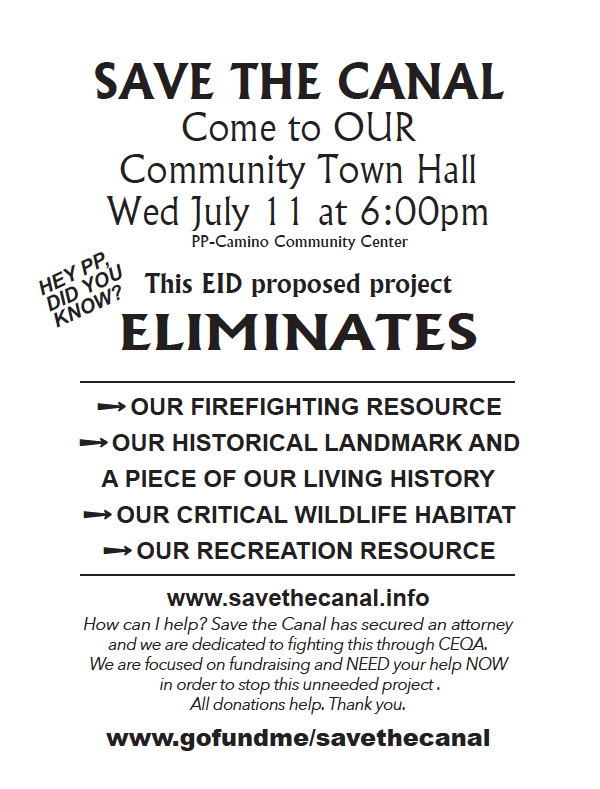 Members of Save the Canal met with EID through the mediation process, and an agreement wasn’t reached. If you are interested in speaking to the canal issue, there will be time to do so some time after the 9:30 time. We appreciate your support! A link to the GoFundMe is on this site. The monies collected are going towards legal fees. The Save the Canal group has met with our attorney. Other opportunities for fundraising will be posted, such as our Bake Sales and Rummage Sale at the El Dorado Saving parking lot. 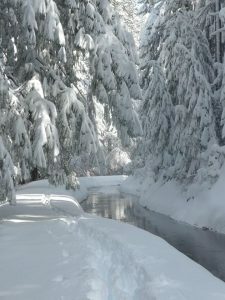 Let’s continue working toward saving this beautiful and valuable environment. EID Board of Directors’ meetings are held every two weeks from 9:00 to 2:00 at the EID building at 2890 Mosquito Rd., Placerville. The next one is 2/25/19. You can access the agenda on the Thursday before a meeting. Public comment is held on any topic just after the initial meeting start-up. To comment on a topic on the agenda, you are allowed to do that when the item is up. Comments are limited to 3-5 min., and the President of the Board, will notify the room on time allowed. Please check back for updated information, such as FEIR, upcoming meetings, and fundraising opportunities. The GoFundMe link is on this site. We still need $$ to fight this project. 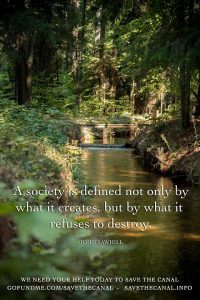 Thank you to all our supporters, and to anyone who is new to this information, welcome and please join our Facebook site: Save the Canal. DEIR Comments were submitted in September for round two. EID is currently working on addressing all comments as part of the EIR process. That should be taking place in February, 2019. We are asking all interested people to attend the January 14, 2019 EID meeting, to show your support for our cause. 9:00 am at the EID building 2890 Mosquito Rd., Placerville. Two new EID directors were welcomed at the last EID meeting, held on December 10; Lori Anzini and Pat Dwyer, replacing Dale Coco, MD, and Greg Prada. Members of the board voted new president of the board to be Alan Day and George Osborne as vice president. 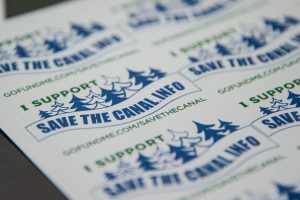 Members of Save the Canal and other community members spoke to the board at this meeting, regarding our concerns about continuing the Upper Main Ditch Project, in relation to costs and the Item #9 CIP (Consideration to adopt the 2019 – 2023 Capital Improvement Plan: https://www.eid.org/Home/ShowDocument?id=12283. The minutes are not available at this time. This item was voted on to be option #2, and the directors chose to reduce the CIP amount and revisit/prioritize the projects for the 5 year plan. Our input was: many infrastructure options need to be dealt with, so piping the canal could be considered as less important than other items, such as flumes and possible flume failures. Save the Canal members were very encouraged with new faces and fresh perspectives on the board. DEIR Comment Period Coming to a Close! There’s Still Time! They are listening! Your comment will be included in and addressed on the next EIR for the Upper Main Ditch Project. At the EID meeting on Aug. 13, EID voted to reopen the comment period for the Upper Main Ditch project from Aug. 20-Spt. 18. This is the time to review, tell your friends and family who might have missed the last date in July. 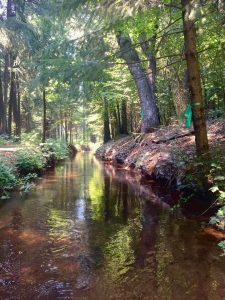 “PREVIOUSLY SUBMITTED COMMENTS: All comments regarding the DEIR received during the original public review period (June 8, 2018 – July 23, 2018) will be considered and responded to in the Final Environmental Impact Report for the Project. Comments previously submitted during the original public review period do not need to be re-submitted during the additional 30-day public review period.” From the above press release by EID. MainDitch.EIR@eid.org (be sure the EIR is first and the eid is after the @) for submissions. More information can be read on the above link. The next EID meeting to hold a discussion on the Upper Main Ditch will be at 9:00 am on Monday, August 27. Thank you to all who continue to support our efforts and fight to save this critical fire fighting resource and important riparian habitat for animals, plants, and humans. EID must now respond to the over 100 EIR comment submissions that were due on July 23rd. There is a meeting at EID on August 13, at 9:00 am, an agendized item is for the directors to discuss the possibility of opening up the comment period. Public comment is allowed at the beginning of each meeting if you’d like to speak. Please keep reading/learning/walking the canal while we wait for the next EIR to come out. At that time, EID will need to address our comment concerns and rewrite the EIR for another public review. Promote the GoFundMe to your friends and family! Thank you to all who read/learned/wrote comments to the EIR. WE APPRECIATE YOUR SUPPORT! DEIR comments are due July 23, 2018. PLEASE download this very important PDF designed to help you with your comments. If you were at our meeting on 7/11 you likely picked up these flyers. If you were not able to be at our meeting, we wanted you to have this PDF. Save the Canal created it in order to educate the public about some of the major impacts of the Upper Main Ditch project. It can be used as a resource in order to formulate your comments that are due on July 23 by 5pm at EID. Any comments received by this time HAVE to be addressed in the final EIR document. The EIR document itself is over 1000 pages long. Since your participation and your comments are SO important in this process, we wanted to simplify some of the major impacts. Many thanks for your continued support and for joining us on this journey. We all continue to work hard towards our end goal of “NO PROJECT”, alternative #4. Act NOW or it is gone forever! 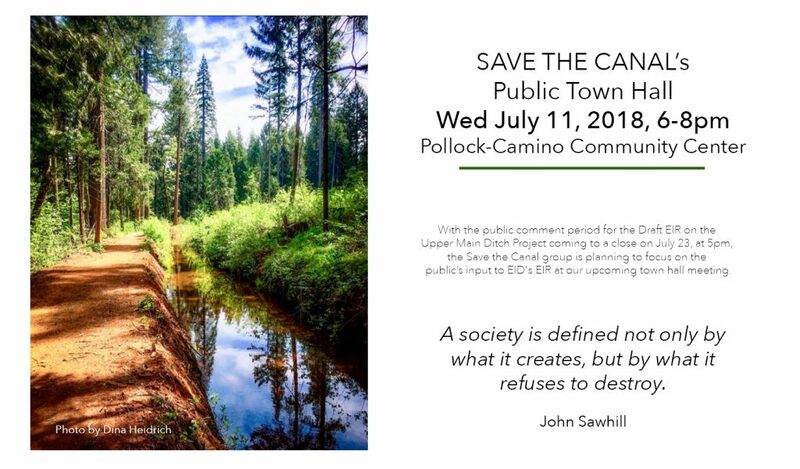 With the public comment period for the Draft EIR on the Upper Main Ditch Project coming to a close on July 23, at 5pm, the Save the Canal group is planning to focus on the public’s input to EID’s EIR at our upcoming town hall meeting. Comments that are to be included in the Final Public Hearing must be addressed by this deadline or they will be ignored. The primary focus at our July 11th meeting will be addressing specific issues we have pulled out of the Draft EIR in order to help the public with their comments and to help concerned citizens meet the deadline. That said, we WILL be allowing public comment, but it will be timed based on the number of folks wishing to make a comment. 6:00-6:30– Open House/ displays will be set up to educate you on some of the issues and mitigations we believe EID is responsible for. We will be around the room to answer any questions you may have. 7:15-8:00– Comment writing/help/dialog and opportunity to raise issues that were not addressed. If you’d like, you may leave your completed comments with us to deliver in person to EID. 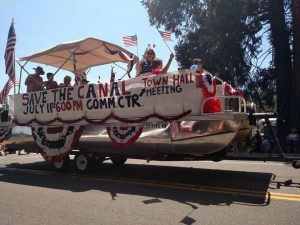 Save the Canal shows its HEART at the Pollock Pines Fourth of July Parade! Thank you to all who participated and the Pollock Pines crowds that cheered us on all along the parade route. We appreciate your support! Here’s a quick fact list about the upcoming town hall meeting next week. Please join us at 6:00 at the PP-Camino Community Center on July 11! Together we CAN! See you there! Join our email list! We'll keep you in the loop! No meeting scheduled at this time. Please check back.